I don’t remember the first time I was called GiGi, but according to my mother it first started when my baby brother was learning to talk. My mother thought it was a cute nickname, but I hated it. No matter how hard she tried to convince me, I refused to be okay with having GiGi as a nickname. Eventually, no one called me GiGi anymore. The first time I met Jon’s girls, he introduced me as “Mrs. Paige.” We ate lunch together in a crowded Chik-Fil-A restaurant. Maddie, the oldest, wearing a mismatched outfit complete with a baseball cap pulled to the side, talked a mile a minute. Megan, the younger one, wore a dress and a glittery headband, clung to her Daddy’s arm. I couldn’t tell if it was from insecurity or fear. As we sat down to eat our lunches, Maddie asked her dad if she could go get some condiments for her sandwich and fries. He gave permission. She left the table. Then five steps later, she turned around and came back to the table, flashed the most brilliant smile I’ve ever seen, and then asked if she could get anyone else something while she was up. Megan, who sat cuddled up to Jon, occasionally smiled shyly at me, but mostly she was quiet, allowing her father and older sister to do all the talking. That was in October. I wouldn’t see his girls again until the last day of 2009. It was the New Year’s Eve I had no plans. Always before, I had somewhere to go, something to do, a person to be with … but not in 2009. It looked like I would be spending the day completely alone. I quietly hung up the phone, figuring perhaps Jon would call me back in a few minutes, after he had talked more with Megan. I felt like he would confirm what I assumed was going to be the result of that discussion, that his girls needed him more than I needed a place to go so it would be better for everyone if I didn’t join them for New Year’s Eve. And I was right … well, right about the phone ringing. Everything else I had gotten wrong. The person calling me back turn out to be Megan. Later that day, I showed up to Jon’s with my craft box in tow. The girls and I made a few fun crafts together, bonding over paint and hot glue guns. Later on, we went out for dinner, going to a Mexican restaurant that had a huge buffalo head hanging on the wall. As we walked passed the buffalo, Megan held tightly to my hand. I had no idea that exactly one year to the day I would become Mrs. Jon Hamilton. “Mrs. Paige just sounds too formal,” I said. “Okay … what do you suggest?” Jon asked. “Maybe we could let the girls decide what to call me,” I said. Both Megan and Maddie perked up. “What was the nickname?” one of them asked, eager to hear what sort of name would make me mad. So that’s how I came to be known as GiGi … and not just to Jon’s beautiful girls, but also to our foster children. I’ve gone by many names in my life. Paige and GiGi are just two. I’m called Mom, Aunt Paige, and Mrs. Hamilton. There are people who even call me by my first name, Angela. And I answer to them all. However, if you call me something like Margaret or Allison or Bob, I am not going to respond. You see, I have many names, but those names do not belong to me. Sometimes people say that it doesn’t matter what name you call God, for there are many ways to call upon Him. 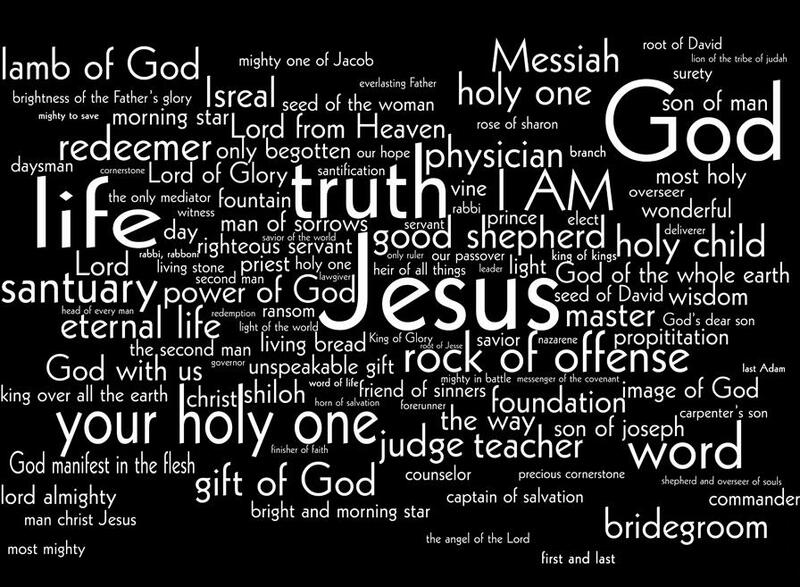 God does have many names. He is called Jehovah, Yahweh, Adonai, and the Bread of Life. He is known as the Wonderful Counselor and the Prince of Peace. He is the Great I Am. King of Kings. Lord of Lords. Jesus Christ. But you can’t just call God by any name …for there is no other name under heaven given among men by which we must be saved. (Acts 4:12). This is a wonderful story and you wrapped it up very effectively. What a sweet story… I think it’s fun that the kids call you GiGi! I think it is fun too … and I love being called GiGi so much, that I’ve already decided it’s what my future grandkids can call me. I love this story!! It’s so sweet!!! You are a very blessed woman! !